I bought this external hard drive a while ago and thought it would be useful to review it for those looking to buy one. I paid around £60 for a 1TB version, which is plenty for most people's uses. The first thing you will notice is how small the hard drive is, as you can see from the photo the size relative to my laptop. It has a short USB 3.0 cable to attach it which gives faster transfer speeds if your laptop or other device has got a USB 3.0 port, which makes copying things over quicker. Don't worry it will still work with a USB 2.0 connection on laptops. Unlike other hard drives this comes with software that can be installed to make backing up and storing your data much easier. The software contains backup and retrieve, and security which allows for a passport to locked with a password to securing your hard drive. The main software is this backup and retrieve. There are a few settings changes available such as how many backup versions to keep, which means you could select, for example 5 versions, and it would keep up to the last 5 versions of your document. This is great because it means if you accidentally saved over a document, you could go back and retrieve your previous version. This is the home screen for the control centre when deciding what you want on the hard drive. It will let you select what you want to back up and show the relative capacity and space used on the laptop and hard drive. The first backup screen will let you choose whether you want to do File Backup or a backup of everything. I chose to use to back up everything which groups your data in types, such as documents or movies as shown above. You can select which type of files you wish to backup. Alternatively you could use the switch to file backup, will let you select specific files that you want to backup instead of all of one group which is better if you only one certain files to be backed up. You can also select the backup frequency of the hard drive via the button at the bottom of the screen. You can choose between continuous backup and scheduled backup. Continuous backup monitors the files and whenever a change is made to them and saved, it automatically backs this up. Scheduled will let you choose days and a time to back up on, which is good if you wanted to only do a backup at the end of each day, for example. This is a great function for restoring those documents you might have deleted or saved over and lost the copy you needed. When you go onto the retrieve tab it will ask whether you want to retrieve the files back to their original places or to a different location such as another folder. This is a great feature as you can instantly get a file back if you delete it by accident. 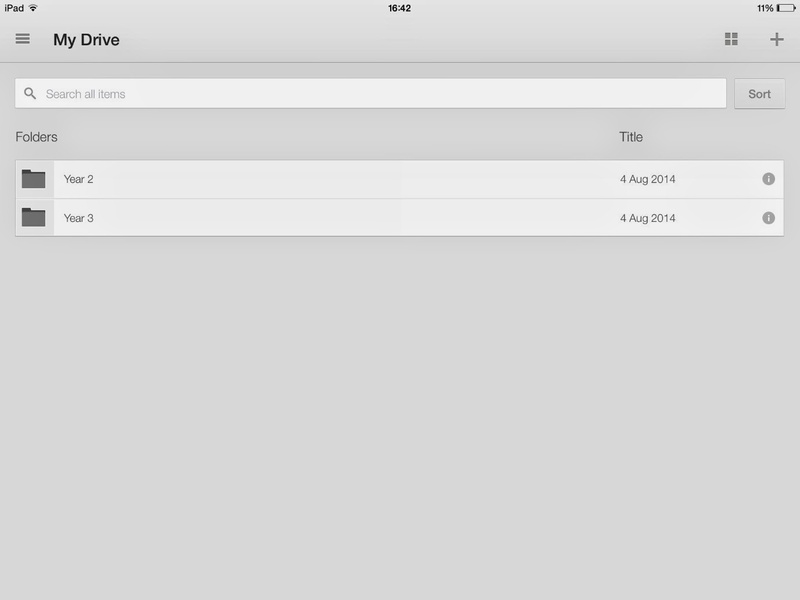 The next screen for retrieve will let you select which files you wish to get back. Similar to the file viewer on laptops it will let you search through and find the file you need. You can then retrieve this and it will either be back to the place you deleted it from or in the folder you specified. One tip I found when using this hard drive to move all my files from my old laptop to my new one, it was much easier to select the files you want to copy over and manually copy and paste this to the hard drive in their folders, and then copy them onto the new laptop. This is much better than trying to retrieve everything to the new laptop as their is an issue with the file formats. I did a lot of reading around before I bought this, and haven't regretted going with this hard drive! Its from a well known brand and has plenty of storage and features for anyone looking to buy a hard drive and I would highly recommend this. Better still, they sell this in quite a few different colours so don't worry if you aren't too keen on the black version. I also bought a Case Logic hard drive case for around £8 which has proven reliable and keeps its well protected when its not in use. As you can see it has a separate section for the hard drive and the detachable USB cable and has a reasonably protective outer. There are plenty of different cases out there, but I thought I would let you know I have used this and its worked really well. I hope this review has helped in deciding which hard drive to buy, if you have any comments or questions let me know down below! Hi guys, I thought this would be a useful post to all the students out there. I did this as a guest post a while ago and thought it would be good to share with you on here. I am in the final year of my degree at university and I have had plenty of time using these apps on my iPad and iPhone and have come up with the best ones that I would recommend getting! 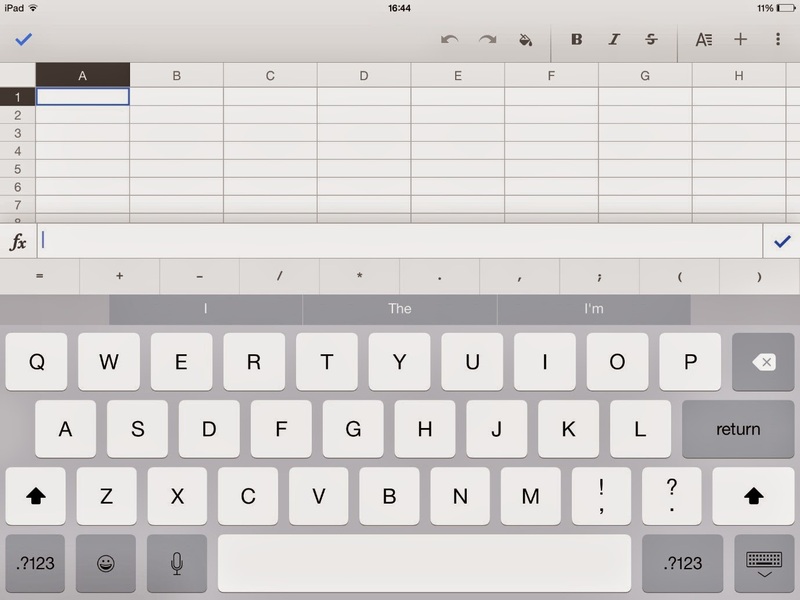 Recently Microsoft have released apps for Word, PowerPoint, Excel, OneNote and OneDrive for the iPad and have recently released them for iPhone too. 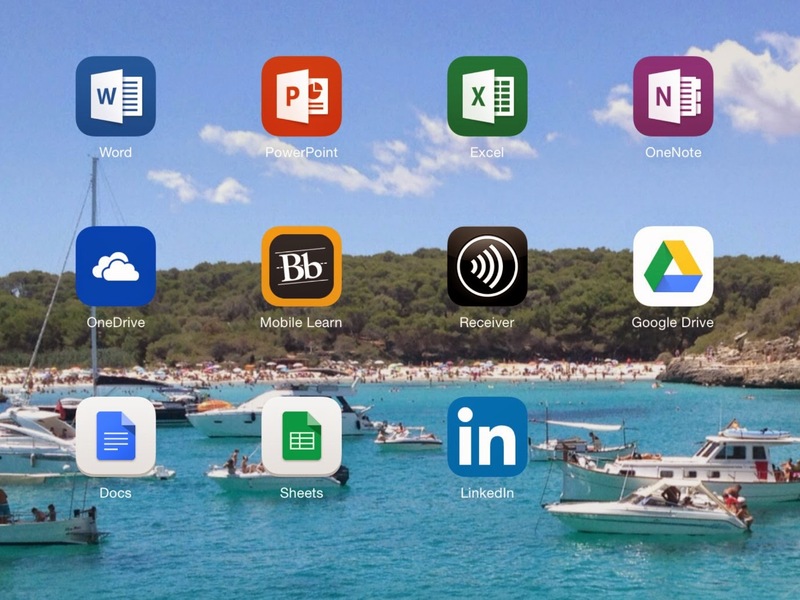 The one thing to remember if you want to actually edit and create work on these apps (except OneNote) is that you need an Office 365 subscription. I know you think this is going to cost you loads of money, however, you can get an Office 365 University version that last 4 years and is only £59.99! This is cheaper than 1 year’s normal subscription. 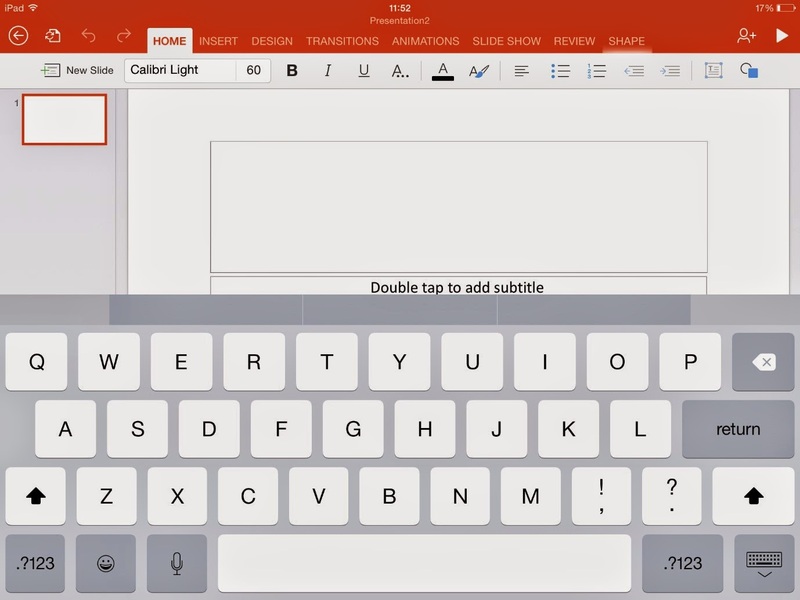 This will let you install Office on your computer and another device, which I chose my iPad and allows you to always have the newest version of Office which is very useful. 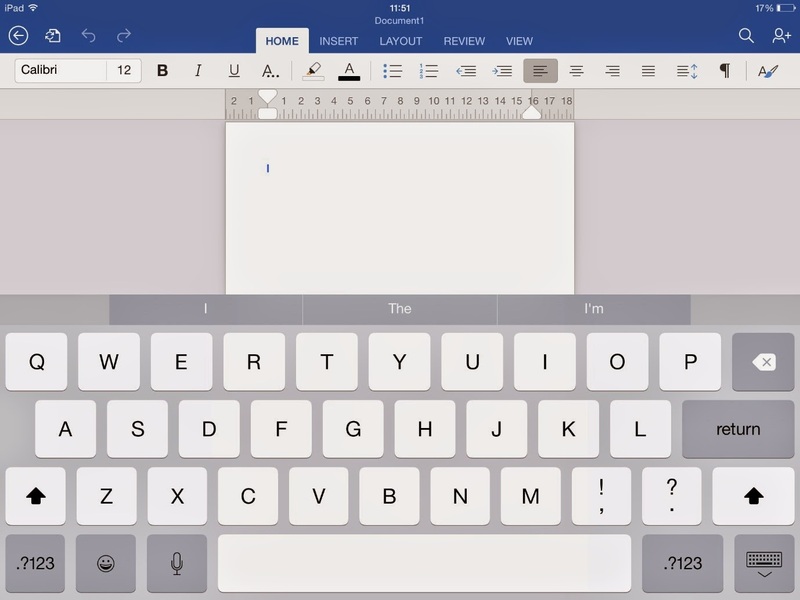 This is very useful for completing your normal documents on as it the best word processor I have used by far on any apple device, and it is the same as what you will be used to using on a PC. You can create new documents on the device or continue working on other documents that are saved in the cloud on your personal OneDrive which syncs seamlessly with the app. Another great feature of this app is that you can create and edit documents offline which then sync up to OneDrive when you next get an internet connection. This has been a saviour to me, especially when trying to do work on a train which seem to have poor signal. It is also useful for opening those Uni documents you will be sent in emails etc. rather than the formatting messing up. I haven’t used this one quite as much as Word but it has the similar features such as creating and editing PowerPoints syncing up with OneDrive. 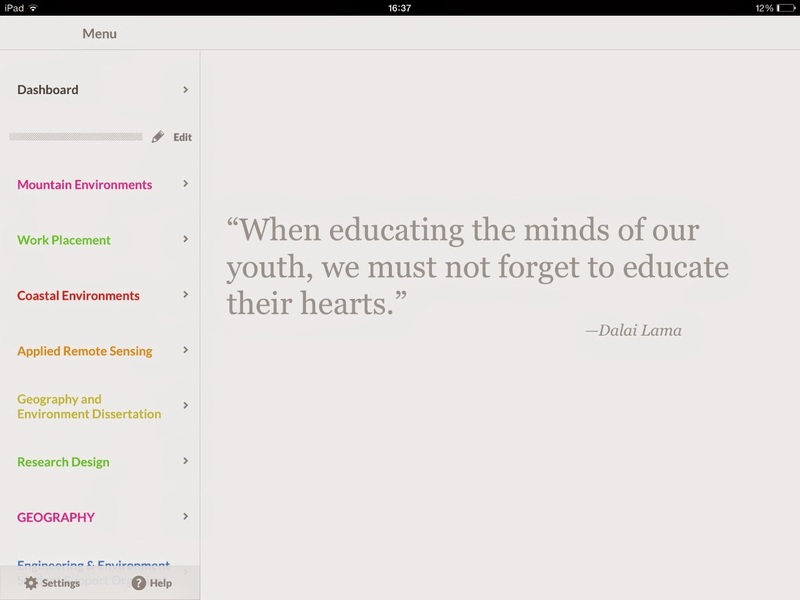 It has the same layout as the desktop version and allows you to create a good presentation. Another thing I found this app useful for is opening and viewing Uni PowerPoints from the online portal as it’s much better than having to scroll though one long pdf document to find the slide I need! I mainly use this app for viewing my spreadsheets that I have created on the desktop version of Excel because it can be a little fiddly trying to do all the same functions on a tablet or phone compared to a PC or laptop. This however does not take away from how useful it is. 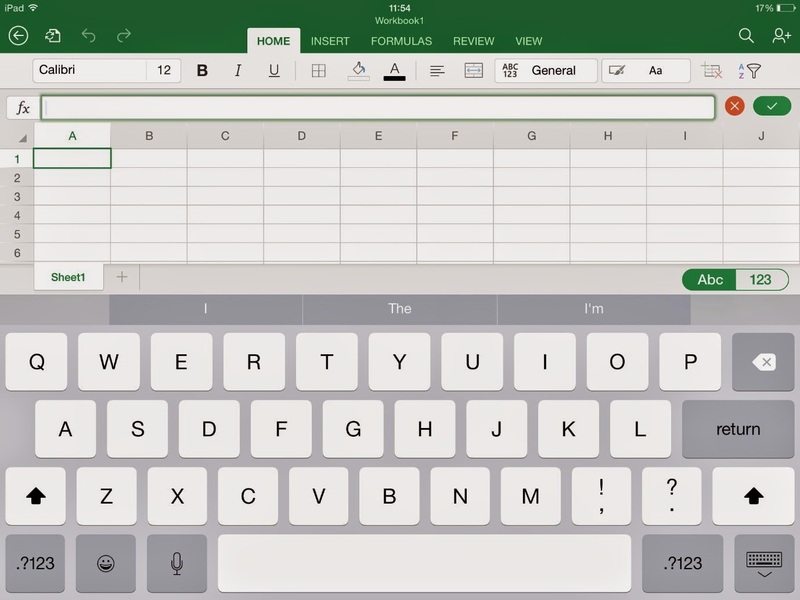 I have tried viewing my Excel spreadsheets in other apps and the formats don’t work properly, so it comes in very handy for having spreadsheets available on your mobile devices. I have created basic spreadsheets in this app which some simple formulas which have worked completely fine. This is great for keeping all my Uni notes in one place that is always up to date wherever I access it. 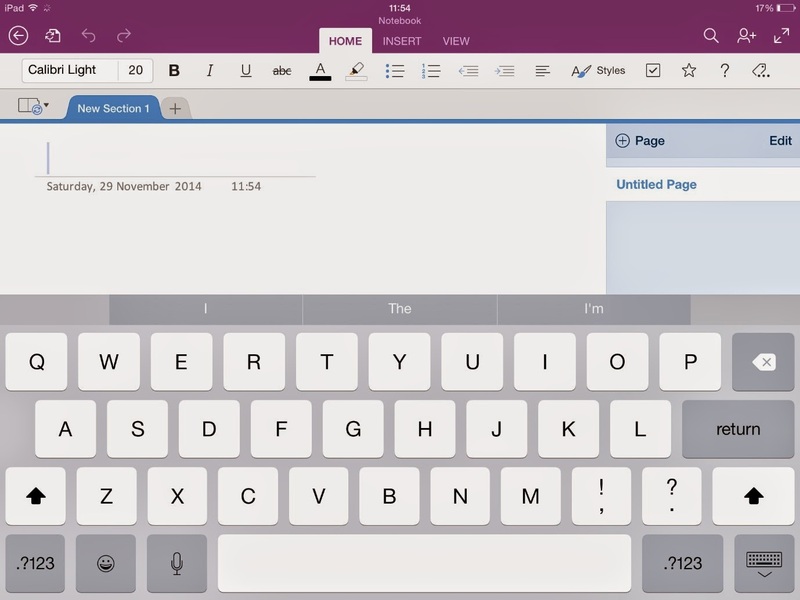 OneNote can be accessed and used for free without an Office 365 subscription and allows for you to organise your notes into separate notebooks, sections and pages. This is great for keeping track of all your notes and has been very useful to me. Other features of the app include being able to search for anything within either specific workbooks or any of the workbooks you have which is great when you need to locate that key bit of information. It lets you very easily add in screenshots or other images which is great to accompany your notes. So I have mentioned about these apps all syncing up with OneDrive, which is the cloud storage space available on your Hotmail or Outlook accounts. You will get free storage space with any email account, but when you purchase Office 365 it gives you 1 Terabyte of extra storage space which is more than enough. When you create files on any of these apps it will automatically save your work to OneDrive when connected to the internet, or will sync it as soon as you reconnect. 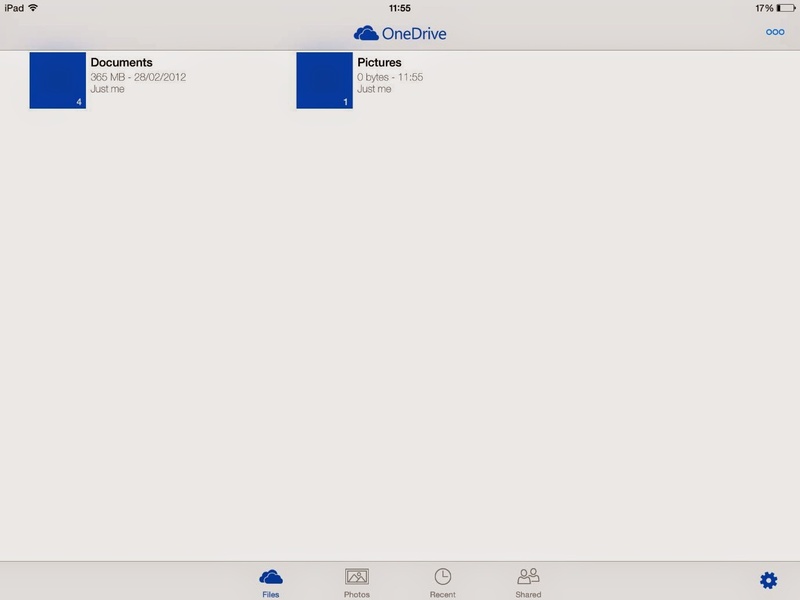 You can also view all your files that are saved on your OneDrive via the app or logging onto the internet. It is very useful to back up your files as well which is very important so you don’t lose that vital work. If you copy your work to OneDrive it saves the ‘I have left my USB at home’ trouble that I’m sure most students have experienced, and means you can access your work at any computer with an internet connection. I’m sure nearly every student will have heard of blackboard or a similar portal that all of the University information for your modules is uploaded to. I found it a pain to access this on a mobile device through the browser and would often take too long. Since I downloaded this app I didn’t look back as it is great to looking through all the information in a mobile friendly way. All you have to do is search for your University and then log in the normal way you would to your Uni account and you are sorted! 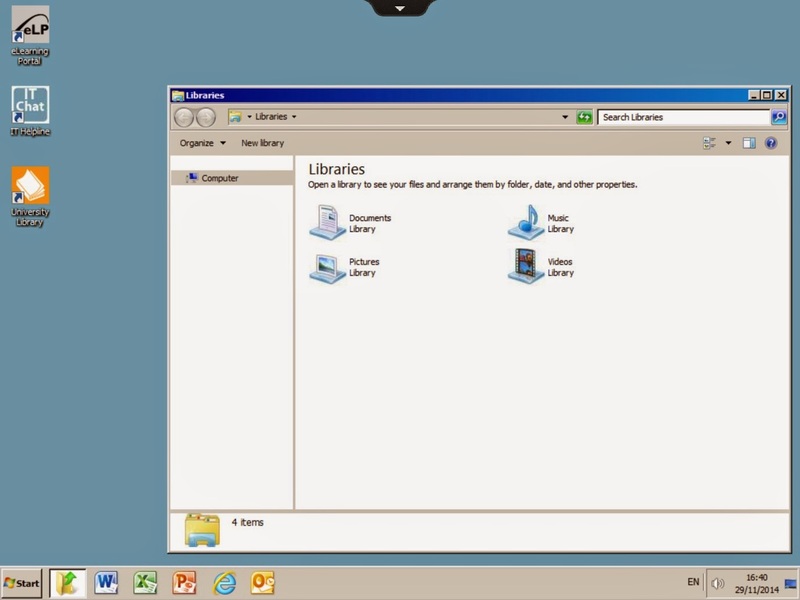 One of the other features that Universities have is Desktop Anywhere or something similar. You may well have used this on your laptop when at home and needed to access something on the Uni network. This app will let you log on and turn your apple device into a windows PC screen via the Uni network. This is great for the times you don’t have access to a laptop or PC and need to be connected to the Uni network in order to find something. I’m sure you have all had or used a Gmail account at some point and hopefully you will have heard of Google Drive. This is the Google cloud storage and is accessed through your email account. You get a massive 15GB of free storage on Google Drive with any Gmail account which is completely fine for standard usage. This app is the Google version of OneDrive and will let you access and find all your files that you have either created in one of the Google apps or that you have uploaded to back up a document. You can also create new documents, spreadsheets and presentations through this app which will launch it in one of the other Google apps. You can also upload photos or videos straight from your apple device or take photos using the camera which then upload to Google Drive. This lets you create or edit documents that have been already created in Google Drive either on the app or via a PC/Laptop. This is a great feature for creating basic documents and notes for Uni and will mean your notes will be up to date whichever device you are accessing them on. It allows you to create documents while offline which then upload when reconnected, which is useful when you lose connection like I mentioned earlier. You can also select documents to be available offline so you can view and edit them when not connected to the internet, which is very useful if you know you will need a document but won’t have internet access. Just make sure you do this while connected and also make sure you have enough storage on your device to download it. One thing to keep in mind is that if you uploaded a Word Document to Google Drive, you can view but not edit this is Google Drive as the format is different. This is a basic version of a spreadsheet program which is good for simple information, such as keeping lists or categorising information in one place but I wouldn’t try to do too much complicated work on this as it is quite basic. I used this initially to keep track of the work to be completed for each of my modules because I could see all the modules on one sheet rather than having to search through different sections. It syncs up to Google Drive when connected which means the information is always up to date. 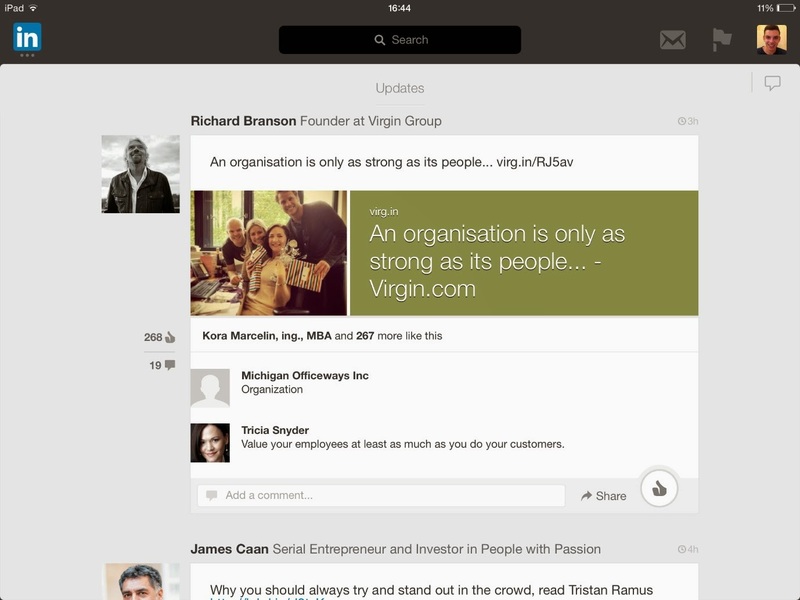 Hopefully you will know about LinkedIn by the time you are thinking about or starting University. If not I would highly recommend getting it now. It is a professional network that basically allows you to create a profile with all your relevant education details, work experiences and other information. 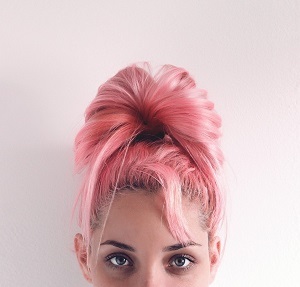 It is like a detailed online CV that other people can view. This is especially useful when trying to get Graduate jobs or placements, as many employers are on LinkedIn. I would recommend creating your profile on a PC to get all the information in easier but the app is great for keeping track of who has viewed your profile and you search for jobs or other people you know who can endorse your skills. That’s is for my selection of apps that are essential for every Uni student to have. I hope this has been useful and if you have any questions feel to tweet me @andymsmithblog or comment down below. I thought I would do this review of my tripod now I'v had it a few months and have had chance to test it out properly. It has so many great features that many expensive tripods will have, and you get all of this for only £12! I bought mine from Tesco Direct so if you decide you want one click here. I bought this tripod to use with my Fuji S100FS bridge camera to allow for taking better photos. This camera is quite heavy but the tripod supports it with no problem so unless you have a weighty DSLR or similar this should be able to support it. The tripod only weighs 1.15 kg so it very light and easy to carry around. The tripod also has different heights which allows for the tripod to be used for multiple photo opportunities. It also features a handy quick release head that screws into the base of your camera which makes it a lot easier when switching between having the camera on and off the tripod. The tripod has 3 different height settings that are changed via the quick release leg clips which makes it very easy to use. This gives a great range of heights to take pictures from while keeping your camera sturdy in place. It also has a centre column that can be extended to give even more height, up to a maximum height of 151 cm which should be more than adequate for most situations. The centre column is generally only used if you really need to get the extra height, as it adds a slight bit of instability especially when this column is fully extended. The legs also have rubber feet on the bottom which makes sure it wont slide around when you are trying to take your photos. This picture shows the tripod at its lowest setting with the quick release clips to extend up the legs. The controls for the tripod are 3-way with the longer handle being used for up and down movement. Their is another handle which does left to right movement and then a third which can move the camera between horizontal and vertical orientation. All of these can be locked into place once the desired position has been found to allow for the perfect shot. This is the tripod in its fully folded down position with the head tilted down to minimize space taken up. This is great for when its not being use as it can store away with little room needed. It also makes it great for taking around with you when you need your tripod while you are out for the day. 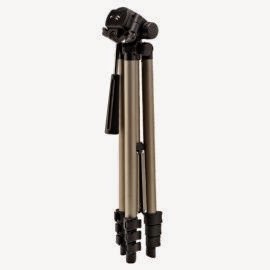 Whether you are just starting out with photography or have been doing it for a while this is a great tripod which is great value for money at only £12! 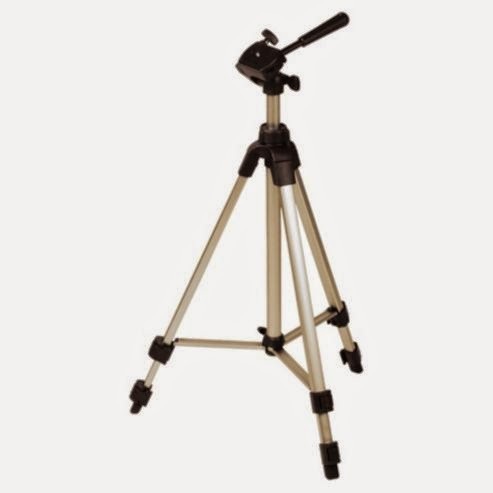 Compared to other tripods at much higher prices, this can match up with all of the features while being small and light. I would highly recommend this and if you are thinking about getting a tripod to get those better shots, I would look no where else! I hope this review helped for deciding on getting a tripod, if you have any questions comment down below and I will try to help.